Shimla is situated in the foothills of Himalayan and is famous for its natural beauty, architectural buildings, wooden crafts and apples. Narrow-gauge Kalka-Shimla Railway offering scenic vistas is one of the amazing attractions of Shimla. Adventure activities like skiing, heli-skiing, ice-skating and paragliding make it one of India's most popular hill stations. Surrounded by lakes and lush green pastures, it offers an unforgettable experience to Nature lovers. 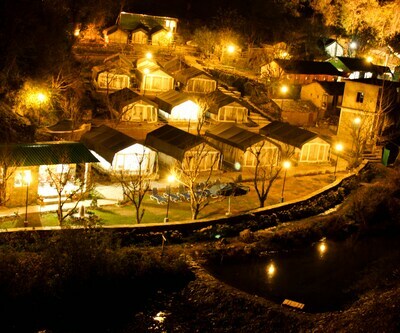 The hotels and resorts in Shimla provide a chilling and romantic stay to honeymooners. 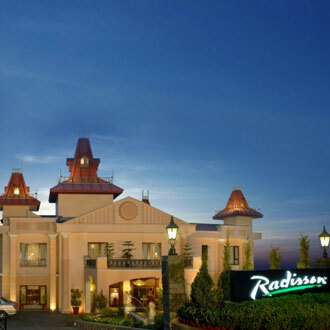 Radisson Jass Hotel Shimla is one of the best 5 star hotels in Shimla. It is enclosed by cedar forests and mountains. 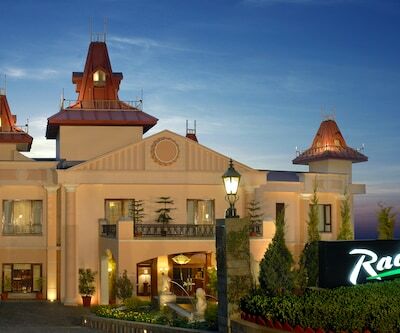 The hotel is 26 km away from The Shimla Airport and 3 km from Railway Station. This hotel has 59 luxurious rooms with all the modern conveniences. 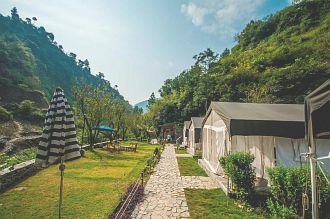 This hotel has an in-house multi-cuisine restaurant from where one can enjoy the beautiful view of the Himalayan Mountains. There is a well-stocked bar which serves exotic drinks. The rooms are filled with AC, TV and many more requisite amenities. The rooms have neat and clean bathrooms with all necessary toiletries. Other facilities offered by the hotel are doctor-on call, currency exchange and travel desk are just to name a few. Famous tourist attractions such as Mall Road, Jakhu Temple and gaiety Heritage Cultural are located near proximity of the hotel. 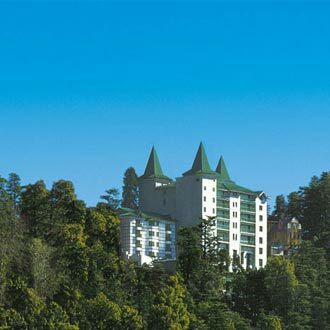 the oberoi cecil is also listed among luxurious 5 star Shimla hotels. 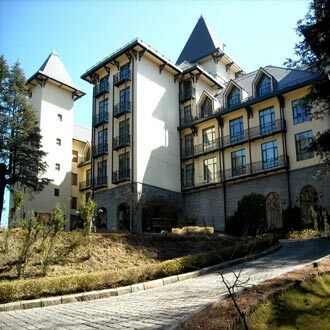 It is a heritage hotel which is situated at the famous mall road in Shimla. 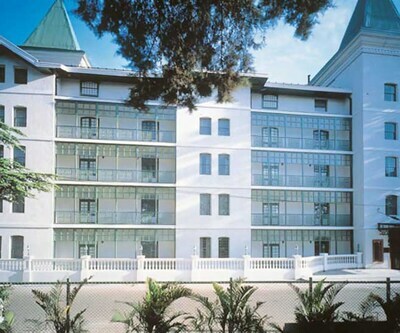 This hotel has 75 rooms with all the modern convenience. Synonym of extravagance these rooms are having big windows peeking to the majestic hills and charming natural beauty. Well-lit these rooms are filled with dressing table, coffee table, cozy beds, mini sofa units and many more. This hotel has a 3 dining restaurant, a bar and a full service Oberoi Spa. ‘Culinary Romance’ serves local Himachali, Pan- Indian and International cuisines. Business travellers in the hotel can conduct meetings and convention at 2 meeting rooms. Guests can rejuvenate and recreate at well-equipped gym, spa, and beautiful blue swimming pool. 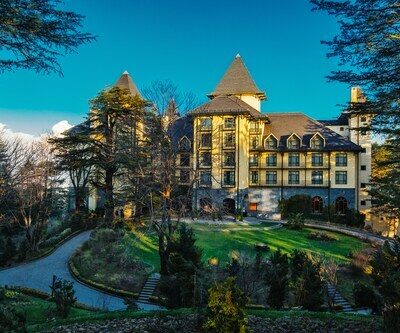 Clarke’s Hotel, Oberoi Windflower Hall are other two premium options which are included in the list of 5 star hotels in Shimla, where patrons can enjoy the scenic beauty of Shimla surrounded by the lavish facilities and utmost comfort.